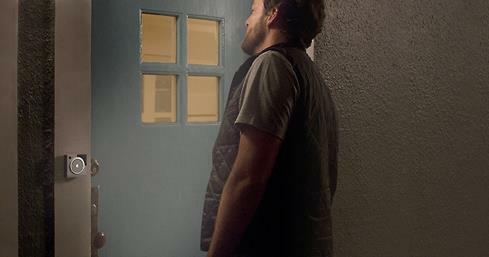 A standard doorbell lets you know someone's at the door — you just never know who. August Doorbell Cam Pro - See who's ringing your doorbell. A standard doorbell lets you know someone's at the door — you just never know who. The August Doorbell Cam Pro has a built-in camera and two-way talk so you can be sure you want to let them in. The motion-activated HindSight™ feature starts sending full-color HD video to your smartphone as soon as a visitor approaches the door. Do you know this guy? The August Doorbell Cam Pro gives you full color HD images of who's at the door before you open it. The Doorbell Cam replaces most standard doorbells, and gives you peace of mind by showing you who is at your door — especially when you aren't home. When the doorbell detects that someone is there it sends you an alert on your phone. The Doorbell Cam works great as a standalone unit, but offers full functionality when paired with the companion August Smart Lock. It replaces the need for the August Connect, acting as the Wi-Fi bridge between the lock and your phone. Your phone relays its commands to the Doorbell Cam via your home Wi-Fi network. 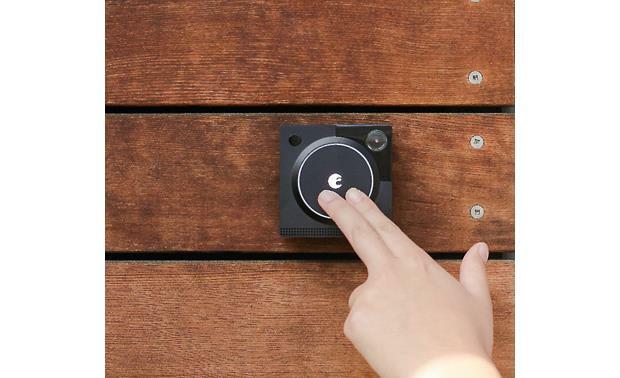 The doorbell then communicates with your Smart Lock via Bluetooth®. When you want to let a guest in, you can instantly unlock your door through the August app. In addition to the Smart Lock, consider installing the August Smart Keypad in your doorway for secure, code-based entry into your home. It's perfect for letting the kids in without needing either a physical key or a smart device. 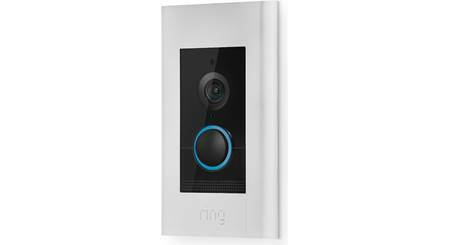 Overview: The August Doorbell Cam Pro replaces your existing mechanical doorbell, using the same wiring. It features a one-way high-definition camera and two-way audio capability, and lets you see and speak with visitors at your door from virtually anywhere. The Doorbell Cam Pro works through the August Home app for iOS and Android. 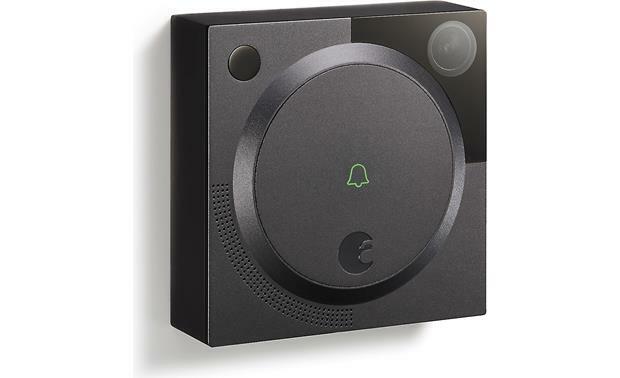 The August Doorbell Cam Pro requires that you have an Internet connection and an 802.11b/g/n (2.4 GHz or 5 GHz) Wi-Fi Network. Video Recording Subscription: The Doorbell Cam Pro records video and audio of each interaction with a person at your door, and stores it in the cloud. With the optional August Video Recording subscription, you can replay your recordings for up to 30 days. Users receive a 30-day free trial that begins when you activate your doorbell cam. HindSight: Doorbell Cam Pro features HindSight, which records several seconds of video leading up to a motion event or doorbell button push. Video is constantly being recorded to a small video buffer. No setup is needed to enable HindSight. Floodlight: The Doorbell Cam Pro is equipped with a flood light that enables Full Color Night recording. The flood light can be set up to be activated by motion, or automatically turned on when the doorbell button is pressed. The brightness of the flood light can be configured to low, medium, or high intensity when activated, however, to prevent irritating visitors, you can turn down the brightness during an interaction. Notifications: The August Doorbell Cam Pro can send an instant notification to your smartphone when it detects motion in front of your door, or when the doorbell button is pressed. The built-in one-way HD camera lets you see who is there, and you can speak to them through the two-way audio system from anywhere, even if you're not at home. Integration with August Smart Lock: The Doorbell Cam Pro works with other August products to provide more features and security. The August Smart Lock lets you use your smartphone to remotely lock and unlock the door for visitors, service providers, or allow delivery drivers to leave your package inside, rather than outside. Smart Lock can also provide real-time status of your door lock, so you can know for sure if your door is locked. 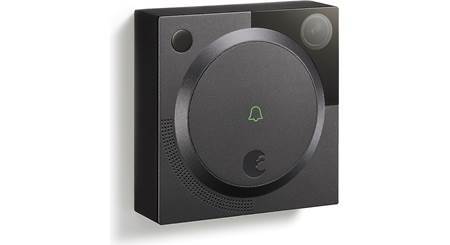 Doorbell Compatibility: The Doorbell Cam Pro replaces your existing mechanical chime doorbell. (It is not compatible with digital chimes, which have a speaker.) Most standard doorbells are powered by electrical wires. Doorbell Cam Pro requires 16-24 volts of electricity from the transformer. You will need about 3" of clearance around your current doorbell in order to install the Doorbell Cam Pro. If desired, you can disable your indoor chime in the August Home app, so that when someone presses your doorbell button, you will only be notified via your phone, instead of via the mechanical chimes. Installation: The August Doorbell Cam Pro should be mounted in a way that gives you the best view of visitors at your door. The unit can be mounted on most any surface: brick, stucco, wood, siding, concrete, etc. An angled mounting wedge is included for mounting locations that are less than ideal. The Doorbell Cam Pro connects with only two wires. Once installed, you must set up the Doorbell Cam Pro with your Wi-Fi network router and the August app. USB Setup Dock: A USB Dock is included to assist you in setting up your Doorbell Cam Pro prior to installing it. The dock lets you connect the unit to USB power from your computer or USB power port, connect it to your Wi-Fi network, and test the video quality and flood light levels. Searches related to the August Doorbell Cam Pro Wi-Fi®-enabled smart doorbell with audio and video.